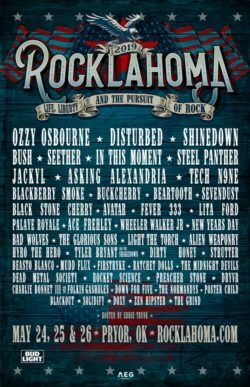 Home » News » Rocklahoma 2019 Announced with Ozzy, Disturbed, and More! 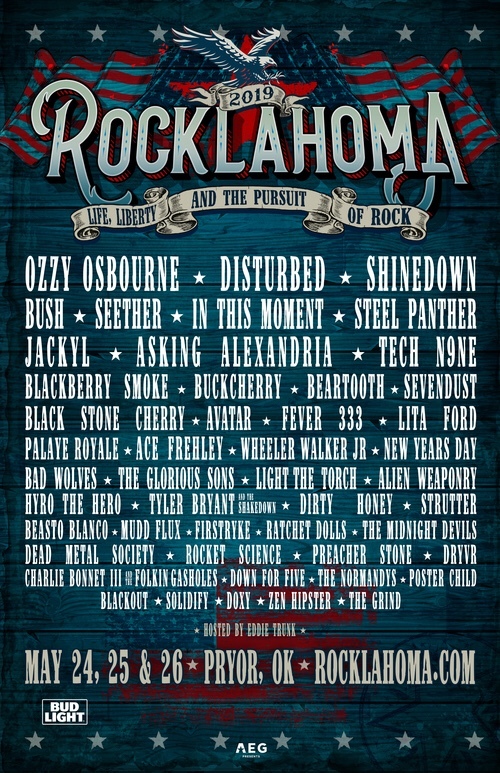 The music lineup for Rocklahoma 2019 is as follows (subject to change): Ozzy Osbourne, Disturbed, Shinedown, Bush, Seether, In This Moment, Steel Panther, Jackyl, Asking Alexandria, Tech N9NE, Blackberry Smoke, Buckcherry, Beartooth, Sevendust, Black Stone Cherry, Avatar, Fever 333, Lita Ford, Palaye Royale, Ace Frehley, Wheeler Walker Jr, New Years Day, Bad Wolves, The Glorious Sons, Light The Torch, Alien Weaponry, Hyro The Hero, Tyler Bryant & The Shakedown, Dirty Honey, Strutter, Beasto Blanco, Mudd Flux, Firstryke, Ratchet Dolls, The Midnight Devils, Dead Metal Society, Rocket Science, Preacher Stone, Dryvr, Charlie Bonnet III and the Folkin Gasholes, Down For Five, The Normandys, Poster Child, Blackout, Solidify, Doxy, Zen Hipster, and The Grind. •	The Roadhouse: The party starts early with this brand-new Rocklahoma experience opening every day at 11:00 AM. The Roadhouse will feature the D&B Processing Stage where fans can rock out with local Oklahoma favorites, top tribute acts, and will be headlined each day with national legends like Lita Ford and Ace Frehley. The Roadhouse will also feature food trucks, a full-service bar, and a great place to hang with your friends throughout Rocklahoma. •	Burgers, Brews, & Barbecue: A new destination at Rocklahoma, Burgers, Brews & Barbecue will be a place to sit down, relax, and enjoy some great local food from the best burger and barbecue joints from around the Southwest. And what better way to wash down that great food than with a cold craft beer? •	The ROCK 66 Market: The ROCK 66 Market will be a new destination for fans to connect with friends, shop for unique one-of-a-kind items, charge your phone, or grab a cold beverage. The ROCK 66 Market will feature quirky items, artists, jewelry makers, and other unique vendors from the local are and from around the country. 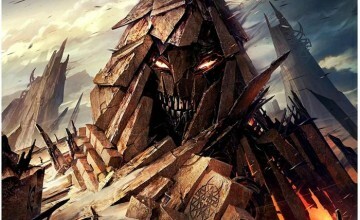 « In Flames and Within Temptation to your U.S. in 2019!! 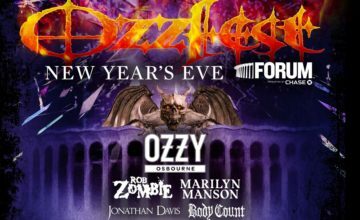 Ozzy Healthy & Ready To Kill at Ozzfest!